Our Gas Heating Engineers work around the clock 24 hours. We can help you with any type of emergency or planned gas heating work. 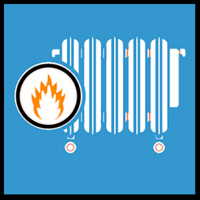 We can visit your home or business in a gas heating emergency or at a time to suit. We are flexible to your personal or buisness requirements. When we turn up to your property we will have a good idea on how to complete your gas heating job. We keep you updated at all times. Your local, fully qualified, gas safe engineer can attend your home or business to save you from boiler and hot water problems. We are available 24 hours a day, 7 days a week so we can attend emergencies or planned work. Radiators being cold is not what you want in the cold weather – give our heating engineer a call to get your radiators hot again. Heating Engineers for your gas central heating controls fixes to installing or replacing new water cylinders. If you would like a gas fire installed, checked or removed then contact our gas safe heating engineer today. Boiler on the blink? A heating engineer can attend your property and diagnose, fix or install new boilers. No hot water heating or low pressure on your system – then call your expert heating engineerto repair this for you. Our heating engineers will check and provide gas safety certificates for all gas appliances keeping you safe. 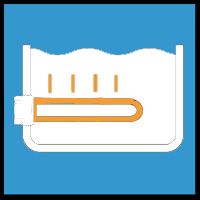 If your immersion heater has stopped working our heating engineer can assess and fix your hot water. Need your thermostat replacing or fixing? Give our heating engineers a ring to arrange a suitable fix to get it working.. 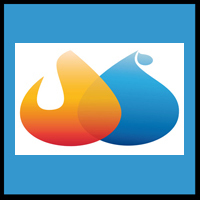 Frequently Asked Questions about our Heating Services? Are your radiator temperatures fluctuating or are the radiators cold and need bleeding? One of our expert plumbers can attend your property to fix this for you. If your radiators are too hot and the valve is jammed so you cannot turn the temperature down then you need a plumber to help you, and we have just the one! Doing a spot of decorating and want your radiator removed, relocated or upgraded – your local plumber is able to organise and complete this. We can fit new radiators and central heating pipes in your new extension or en-suit. Leaking radiator pipes can cause damage to your property as well as your heating not working so you need this fixing immediately which your local emergency plumber can do for you. Installing new boilers needs a gas safe engineer and your local plumber is gas safe registered so you can rest assured that your in safe hands. Boiler servicing is a must to ensure efficiency and safety of your boiler. One of our expert engineers can safety check and issue gas safe certificates. Boilers not working or error messages does not always mean you need a new boiler. A plumber can fault find and fix with new boiler parts too. A noisy boiler can indicate the start of problems with your central heating call us now before more problems arise. 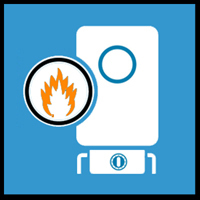 Boilers not igniting is a common boiler issue that our plumbers are experienced in dealing with so they can have it repaired in no time. No hot water can have many root causes, you need a plumber to fault find and repair so you can have your home comforts back. If your hot water is trickling out the you have low water pressure problems that our plumber will be able to fix. Hot water temperature fluctuating? One minute your hot water is scalding and the next it is cold we can correct this for you. If your central heating is not igniting your radiators will be cold and so will your property, one of our plumbers can investigate and solve the problem for you. Installing new central heating systems for a new property, extension or updating your existing can be easily performed by a plumber. Hot water cylinders can leak and rust which occasionally can be fixed if mild problems but often the cylinder will need replacing in these circumstance, call our plumber now to arrange a time to call and sort this for you. 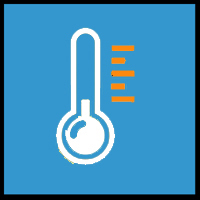 Central heating controls can stick or not work resulting in you not being able to adjust the temperature of your property, our plumbers are experienced and can fix this in now time. Whether you have a new gas fire to replace the old or you would like a gas fire space created our gas safe engineers can install gas fires. Gas safety checks on your gas fire should take place regularly to ensure your safety. 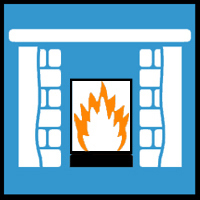 A plumber can check your gas fire and issue a safety certificate. Removing a gas fire needs a professional gas engineer, our plumbers are all gas safety registered so we can make sure it is performed safely. Installation of an immersion heater for a new back up hot water source or to replace an existing can be achieved by our plumbers. No hot water from your immersion heater tank can have many causes. Contact your local plumber to repair this for you. An immersion heater thermostat cutting out can mean there is a fault in the temperature control which our plumbers will be able to fix. All immersion heaters should have limit thermostats installed, if yours doesn’t then give us a shout and we can fit for you. Faulty thermostats can disrupt your heating control so if yours is playing up then give your local plumber a call. 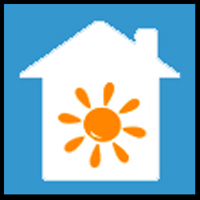 If you are decorating or changing the layout of your property and need your thermostat position changed or relocating then we can help you. New thermostats need a professional to install so whether it is a traditional thermostat or a smart meter we are trained to fit. Thermostatic valves on your radiators and central heating are a great way to control the temperature if you do not have fitted then we can install for you. Servicing your gas appliances and boiler maximises efficiency and reduces potentially unexpected and expensive breakdowns. All our plumbers are gas safe registered so will check your appliances and boiler for gas leaks, carbon monoxide, ensure the controls are working appropriately and offer an all round gas safety check so you can sleep soundly at night knowing your property is safe. Landlord safety certificates are a legal requirement, our plumbers will check your property is gas safe and issue you with the certificate. At a plumber we offer competitive, fair prices that don’t compromise on the quality of the plumbing and heating services our nominated engineers provide. We have hand selected the best local engineers who will give you the best flat rate for the first hour and a job rate if any longer. These prices are continually monitored by us so you always get the best price for a plumber even when competitor plumbing firms are continually over charging and not being fair. To get a quote just select your local city at the top of the site to find and contact your local plumber through us. The plumbing and heating engineers have been chosen by us, after having their qualifications and work checked thoroughly by an engineer. So you can be confident that they will have everything needed to provide you with a professional service at a fair price. To give you peace of mind all plumbing or heating work carried out by a plumber through us will be guaranteed for 6 months by them. We work hard to make sure that you dont have to when it comes to finding a reputable local plumber.